Alpaca has definitely been my fibre of the month this month. I was lucky enough to be able to visit The Naked Sheep during our stay with my parents in Northamptonshire at Easter. It’s definitely worth a visit if you are ever in the area. The Apacas were lovely, and although I was disappointed that there wasn’t any fibre available to buy, I did come away with some nice laceweight yarn. I finally finished spinning up the grey alpaca silk blend from World of Wool. 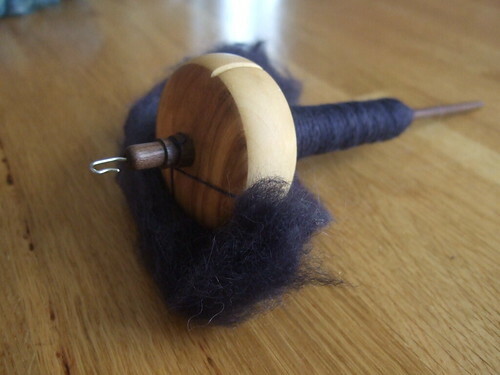 This was spindle spun. I started off using the ply on the fly technique, but ending up finishing the rest of the fibre, by spinning singles, and then Navajo plying on my wheel. I decided to make another Storm Cloud Shawlette with this. I really like the pattern, and can see myself making a few more of these. 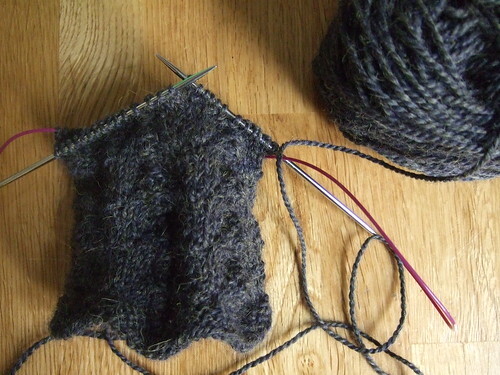 Last but not least on the Alpaca front, my sister has requested another pair of wrist warmers. I met her in Loop (just around the corner from where she lives) and she choose some Blue Sky Alpacas Melange ( a nice tweedy DK weight). 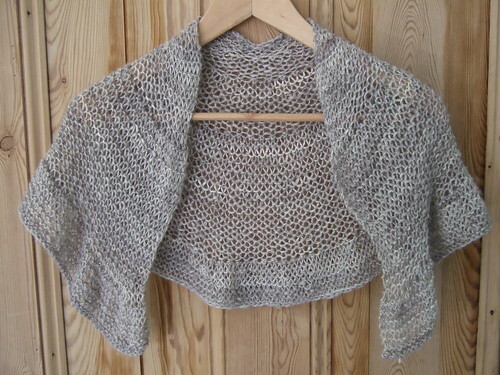 I found a nice free pattern from Drops Designs . The yarn is slightly heavier than the recommended yarn, so it’s producing a fairly dense fabric, but I quite like it like that. Here’s my progress so far. Nice post and pictures. Your work is amazing. Alway respect those who can knit so well. 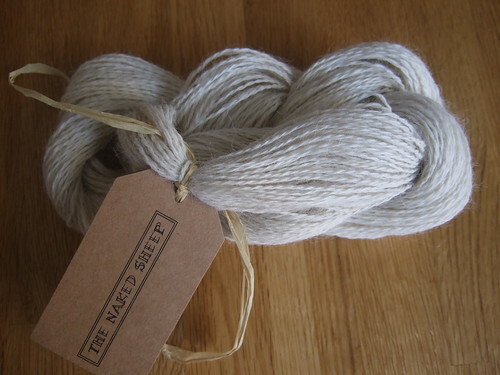 Lovely work….what kind of spindle are you spinning the merino/alpaca/silk on? The Shawlette is beautiful and the wrist warmers look like they will be lovely too – such a nice colour – I look forward to seeing the finished articles! Lovely shawl. You have done a wonderful job spinning and knitting. Alpaca is my favorite fiber. It’s so soft. Hola…estamos de festejo en el blog que comparto con mi amiga La Curupisa. Las esperamos. 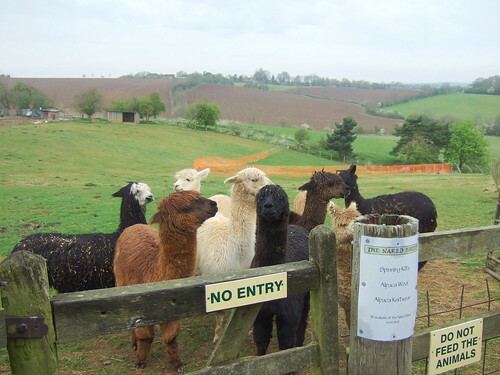 Wish i can visit a farm like that, having own alpacas.